APOSTLE JOHNSON SULEMAN: A Preacher’s Divine Mission & Passion.. The General Overseer of Omega Fire Ministries Int’l, Apostle Johnson Suleman, recently had the Onitsha Restoration Crusade in Anambra State, Nigeria. Just like the Tulsa, Oklahoma, American edition which came before it, the Anambra crusade was a huge success. A charity agent, Suleman’s evangelistic missions have taken him to all the continents of the world. As the Word of God has the ability to impact not only one’s spirit and mind but also one’s physical body, Apostle Johnson Suleman has always demonstrated how the power of God heals in significant ways. The Servant of God, in his ministering element, practically inserts the Word into people and it went right into the mind and impacted every fiber of the body systems. At the end of the day, the mission gives people the opportunity to share testimonies. At the OFM, people are witnesses to miracles God performs and has been performing for more than twenty years since its launch. The fast spreading ministry, headquartered in Auchi, Edo State, has 49 other branches across the world, while Suleman has ignited many dimensions of Christianity characterized by charity, signs, wonders and healing miracles, around the globe. The latest from his milk of kindness was a donation of $7,000 (seven thousand dollars) cash he made to the New Day Youth And Family Services, Oklahoma during the Tulsa Raw Power Conference. Apart from the testimony from a woman who came to return glory to God for the divine blessing she received at the Kenya Conference. The woman, before she attended the Kenya Conference, was already at a dead end, nothing was working for her. She has done all she could, yet no new thing happened in her life. She attended the Kenya Restoration Conference at the KICC, Nairobi where Apostle Suleman gave her a prophetic Word which enabled her to secure Visas to the US. Giving out the gifts, Apostle Suleman said at The Christ Chapel of Oral Roberts University where thousands from across the world had gathered for the Raw Power Tulsa, is on God’s instructions. God directs me at will to do these things which fire my compassion for men, pursuit for lost souls and mandate to wipe out tears and restore men and women to their destinies. My actions are of God. Of recent, Apostle Suleman had embarked on wide range of aids to different categories of people, from the nameless to celebrities. The firebrand preacher gave out 9 classy cars worth 2 million each, with cash gift ranging between N100,000 and N250,000 to more than thirty people, while several members of the church, in the heroic scheme aimed at challenging the well-to-do in the society to focus their wealth more on the poor, got various gift items which include refrigerators, Plasma TV sets, power generators, gas cookers and other household needs. During a Sunday service, precisely on November 13th, 2016, Suleman, as earlier promised, dazzled another youth leader in his ministry a posh car. A fast rising comedian popularly known as Filky, was also blessed with a new car, while an international music minister, Marvel Joks, got a new SUV from the man called God’s Oracle. “I have tasted poverty. I come from a very humble background. My parents were Muslim before I was called. So, I knew how it felt to be poor. That is why I believe that the less-privileged of today can become important personalities tomorrow. My mission is all about preaching to souls and giving to the needy. What I do every year in the open that you may think is big is just a fraction of what I do to help many in the corner”, said the man of God who noted that his giving in the public is not to show off but to give the opportunity to those who have but does not give, to start giving. Aside the annual charity programme, Apostle Suleman whose best philosophy is ‘gospel is practical not only spiritual’, also has many indigent students on scholarship, widows on his personal payroll, also the physically challenged while he takes it upon himself to donate boreholes and electricity transformers sometimes to assist communities. One interesting aspect of Suleman’s humanitarian outline is the fact that it is extended to everyone irrespective of religion affiliations, as it even attracts mass of people from different faiths. Unknown to many, Apostle Suleman was already a successful businessman before he started the Omega Fire Ministry. He is the chairman of Hosanna Conglomerate, with vast interests in real estate, oil & gas, banking, transport, print and broadcast media and publishing both in Nigeria and America. Clearing doubts on the source of his amazing philanthropic life, Suleman said; “I give to people on instructions from God. The cash and cars I give to the less privileged, they are purchased with my personal money. I don’t take from the church purse because church money cannot even sustain me. I have 106 widows that are paid 20, 000 monthly since the past four years and are given half a bag of rice each every Thursday. Apostle Johnson Suleman Doles Out $7, 000 Cash, $5,000 Items To American Orphanage And Methodist Home For Children. In his spirit of giving, while at the Philadelphia Restoration Conference tagged Raw Power last June, 2016, Apostle Johnson Suleman, the General Overseer of Omega Fire Ministries (OFM), once again demonstrated his love and compassion on those not as privileged as he is. 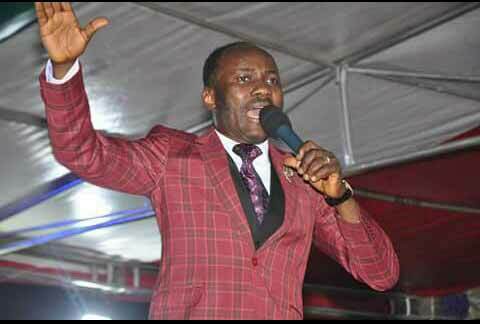 At the last Onitsha Restoration Crusade, Apostle Suleman blessed people with the sum of N700, 000. They included a retired female school teacher who got N150, 000 from the man of God because she had not been paid her gratuity and retirement benefits since she left service. There was this woman and her husband who brought their ailing son to the Onitsha crusade. The son was suffering from what the doctors called cerebrospinal disorder, a condition where the fluid in the marrow is in excess or insufficient and therefore causes the head to swell. The Oracle of God prayed for the son and the head was normalized. Also at the Onitsha crusade, a man regained his sight after ten years in total blindness. Another woman was prayed for who crawled to the crusade and then walked. There was also a police officer attached to provide security at the event who was located by God while on duty and, according to Suleman, his file of blessings was instantly opened. Early July, 2016, Apostle Suleman paid a visit to The Methodist Services, Philadelphia. The visit was done on the platform of his ‘Touch of Love Foundation’ but tagged ‘Touch of Love Inc.’ in the US. He gave $7,000 in cash and items worth $4,500. He also gave $1,500 to a baby girl during the conference. Also in August, the Servant of God shocked a Poly student with a car worth N2 million and N250, 000 cash gift. Also, a church member, Mr. Afedume, who has been consistent with God, received a Sienna car from the Oracle of God. Afedume is a father with family of eight. He is an usher in the church who combines transporting his large family to and from the church to caring for church members and guests. The Holy Spirit spurred Apostle Suleman who took pity on him for all his efforts and presented him the car to ease his traffic. 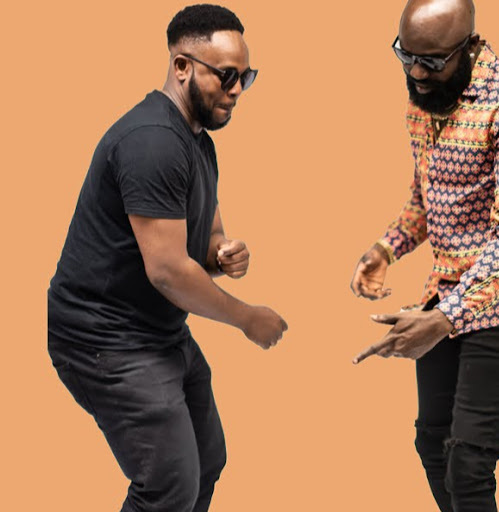 During a Sunday service in September, a Nollywood actor, Emma Blaq, was among those that met with blessings from Suleman who dashed him the sum of N1.6 million and a Peugeot 206 Convertible car. Also, that day, promised the Federal Polytechnic, Auchi, a 700-room, self-contained blocks of building at a reduced price which groundbreaking event took off recently. He also gave out two SUVs and two cars worth over N20m to workers in his ministry whose contributions to the work of God in the commission have been immense and selfless. Before then, Suleman had given N7m cash to some youth corps members who were at the Auchi, Edo State headquarters of his Omega Fire Ministries on a courtesy visit. Suleman, is not just blessed with the gift of firebrand preaching, and powers of divine healing and prophecy, his mega outreach also serves as conduit through which vital services are provided to local communities. On the side, Suleman writes books, many that inspire sickness-free life, God-centered dating relationships; in all about 52 motivational books have been authored by the prophet whose life story itself would motivate and inspire whoever is desirous to shake off a bad past and step into a bright future. He is returning to Lagos between December 15th and 16th for the next leg of a crusade tagged ‘Fresh Fire’. Meanwhile, looking at pastors of large congregations today, only a select few of them do tend to contribute hugely to a wide range of charities and community outreach efforts. Among this very few is Apostle Johnson Suleman. From the early Christianity to the modern age, genuine Christians have carried with them, a beneficial concept of charity that has had, and continues to have, a substantial impact on humanity. Suleman is a perfect example of this tradition of old. It is always a moment of joy and fulfillment for members of his Omega Fire Ministries and even strangers, the less privileged including widows, widowers and vulnerable children when he blesses them during his regular charity scheme. For Suleman, a man is permitted to cry, but tears of life are not final. Suleman was in Monrovia, three weeks ago. upon his arrival, Liberians knew they were about to experience the hand of God like never before because it was what they had anticipated when his coming to the country was earlier announced. The Liberia conference and the Lagos experience that came a week after it both witnessed a large turnout of God-seekers. However, the Monrovia crusade was a never-seen-before kind of audience, as the 25, 000-capacity stadium, was filled to the brim while the excess of 10, 000 settled for the open field. The Vice-President of Liberia, His Excellency Joseph Boakai and the country’s police chief, Col. Gregory Coleman, confirmed they had never seen witness a church crusade. It was indeed healing and miracle galore. The lame, the crippled, the demon possessed, the blind, the deaf and the dumb received healing. And he blessed some with cash gifts and many received deliverance and prosperity. 8 wheel chairs and 23 crutches were dropped by their bearers on the first night of the two-day crusade. While the crusade lasted, medical doctors who witnessed the hearings after prayers were simply amazed.